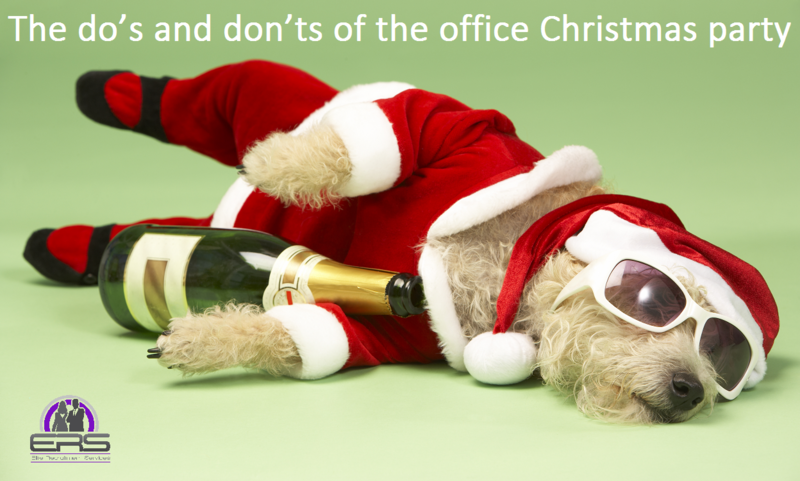 With the office Christmas party season now in full swing, how do you survive the festive season without any mishaps? Don’t gossip or spread rumors. Confessing your sins to colleagues or worse clients is never sensible. Keep small talk general, come well prepared with a few social icebreakers, families, sport, children, and vacations should be safe areas. Take it from me office gossip and alcohol is never going to end well, best stay well away. 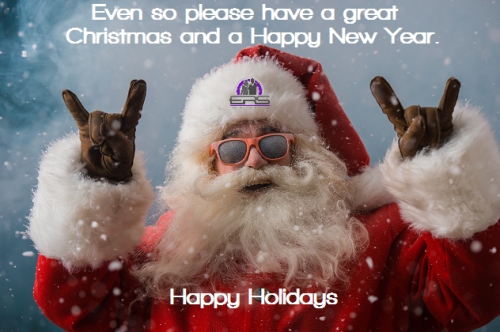 Generally, people make the mistake that the office Christmas party is that it is still a work-related event rather than “Great, free drink, free food, might as well get merry.” Letting your hair down maybe OK but you will still be judged by your superiors and your actions are still accountable. You should be seeing this an opportunity to be seen in the best possible light as opposed to getting completely and utterly drunk and making a fool of yourself. Just because the boss gets smashed does not mean that this is a signal for you to do the same. Alcohol-fueled romance is often something that comes to the attention of the office gossip, around 20pc of staff admitted to having kissed a colleague at a staff party, 3% said it “went further” and 14pc said they flirted with their boss. 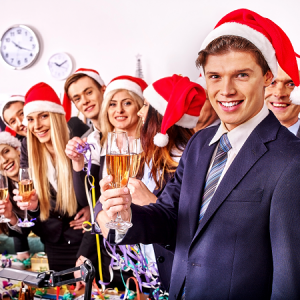 The other end of the spectrum is that 2% of employees chose the office party to resign! The firm’s Christmas party definitely is not the place to wear that slinky black number, and contrarily that ill-fitting suit that stinks of moth balls and has been gathering dust in the back of your closet. It is always s advisable to stick to a dress code, asking colleagues what they are wearing does not always come with a good result “Oh we are all dressing up as Elves” or “Didn’t you know it’s a Roman Toga party?” have led to great embarrassment for some. Know who to trust! An easy trap to fall into is that you find someone you get along well with, who you want to talk to and you stay with them for the entire evening. No matter how nice you are there is a strong possibility that that person may want to talk to other people and other people may well want to talk to that them. Don’t hog people, 10 or 15 minutes is acceptable, remember to mingle. The Christmas office party is the ideal place to let your hair down and unwind (a little) after what may have been a stressful year. Although invites can say optional. They rarely are, it is a good idea to make an appearance. Even if you loathe the thought of spending even more time with the people you work with day in day out, making that appearance will show them that you really are a part of the team. It is a great opportunity to boost company morale, and sometimes such a night is all that’s needed to turn colleagues into friends. Mr Hanson said: “You should use the opportunity to talk to people in the office, perhaps that are higher up, who you have been desperate to talk to for the whole year and haven’t been able to. Use it to social network and to make a good impression, rather than thinking I am going to bond with my colleagues. Circulating can only be a good thing, broadening your network is an essential part of being successful nowadays . You need to ensure you have one hand free all the time, don’t have plate and glass, and if you are being sensible you will hold your drink in your left hand so you can still shake with your right. It just looks rude if you don’t shake hands. Hopefully your host will have the foresight to make sure there are plenty of surfaces available for people to put stuff on. If the party is being hosted by someone at work, bring a small gift and send a thank you note after. If you are unsure who organized the party send a thank you note to bosses. Avoid flowers on these occasions as there may not be an abundance of vases and water. If you are unlucky and find yourself stuck with someone terribly boring and you want leave it is impolite to wander off and leave them on their own. Ideally you should pair them off with someone else by saying something like, “You know I have just seen so-and-so, I must go and talk to them, by the way have you met so-and-so and introduce them to someone else before you make your escape. 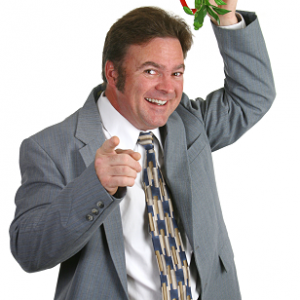 Office parties can be loud affairs and require you to move close to hear your colleague speaking, halitosis and/or BO are not something to be proud of, carry mints and especially if you think you may be dancing or getting hot, wear plenty of deodorant and perfume/after shave, just don’t over do it. Let me start with what I mean by “Best Practices”, as far as I am concerned it is what I know is required when placing Senior Execs in top tier positions and what industry leaders also believe any credible company should have in place procedurally. I have always found it helpful to step back and review both internal and external processes, especially in such a buoyant job market as we have now in the later end of 2016. I would like to help you with strategic best practices in acquisition and recruiting board level executives. Successful recruitment of quality people, particularly at this level, requires your organization to know the process and execute it proficiently. It also demands that you focus on each candidate during the interview process and be totally focused on what they have to say and what their body language is saying. This last component will enhance your recruiting results regardless of the processes you have in place. While you assume that you’ve made a clear description of your job requirements for a particular top level position, oftentimes you learn of critical criteria which has been missed during the interview process as you suddenly identify credentials that are absent in some candidates. Communication is key when you are in defining your initial specifications, remember you know your business better than anyone and even the best recruitment consultant is not a mind reader! So, help them to help you by giving a really detailed job specification. YOU will reap the benefits 10-fold and the better job the recruiter will be able to perform when looking for the perfect candidate. Undeniably, there will be trade-offs, such as industry specific experience for a particular degree, but it’s your ability to completely understand and articulate your needs to the recruiter as early in the process as you possibly can and improve chances of acquiring the best candidate for position. Defining the communicative components of this ideal candidate, such as a direct, personal communication style; high degree of empathy; or openness to change, often helps you better describe the position. Again, it is important to understand the sensitivity surrounding these issues of personality and making sure that you uphold equal employment opportunity (EEO) and other legal employment consideration when you finally do get to speak to the candidate short list. It is also important to determine that the whole interview team understands these specifications and are on the same page. In my experience, I have known a qualified executive has rejected an offer since each interviewer communicated different views of the job description. Obviously, this indicates to the applicant that your organization does not have a clear strategy, so consequently is unable to clearly outline specific roles and responsibilities. Hopefully you have a trusted recruiter, and if she/he informs you that a specific skill set cannot be found in one person, take note. Experienced recruiters will have done their homework and will know where and how to find candidates fit for the position, and be ready to do whatever is required to fill your opening being both ethical and legal. The best selection processes are consistent as well as being transparent and giving clarity to the candidates and any independent third party observers. Topically as I write this in November 2016 a good analogy is democratic election. Do you believe candidates and observers can review your organizations recruiting process and understand it? It is beneficial that you take the time to ensure that each candidate understands fully the recruitment process. Never more so than when recruiting senior level executives, as you probably know this can be a lengthy process. Imagine losing out on exceptional candidates because they lost sight of the process. Again, from experience I have had executives tell me that this is the reason they may have accepted some jobs while turning others down. I believe it’s best to have a position owner, one person in your organization who is responsible for moving the recruitment/selection process along and can resolve any stalemates. It’s also critical that this position owner have the organizational efficiency to push toward consensus and completion. Once more your really don’t want the top candidate to get away just because your team couldn’t agree. As we approach 2017 many organizations no longer employ move coordinators in house. Nevertheless, moving is very personal, so it’s important to discover if your moving vendor or local realty company offers this type of additional service. This can also assist the preferred candidate (and their spouse) when they are not 100% sure about relocating, so make it easy for them! Effective handling of the details related to bringing someone on-board dramatically impacts their integration and effectiveness. In the most successful organizations, the transition from candidate to employee is smooth, seamless, well planned, and skillfully executed. Executives often report that the skillful handling of pre-orientation and orientation details, sets the tone for their tenure with the company. So, ask them how and when they would like to receive the on-boarding. It is crucial that the recruiting team remembers to treat every candidate with mutual respect and consideration during the recruiting process. You can do everything right and then have this destroy their good impression by displaying a lack of respect for the candidate or the eventual new hire. This is especially true in the areas of relocation and on-boarding. Do your early interactions with the new executive demonstrate respect or do you treat them like a college new hire? If you’re not providing a full-service move, do they have all the necessary relocation information? Are all the arrangements for their office, PC/Mac, phone, business cards, cars, etc., complete? Have you removed all possible and potential obstacles to their early success on the job? Have you introduced them to the people in your organization in a way that makes them feel like they are a part of the team? 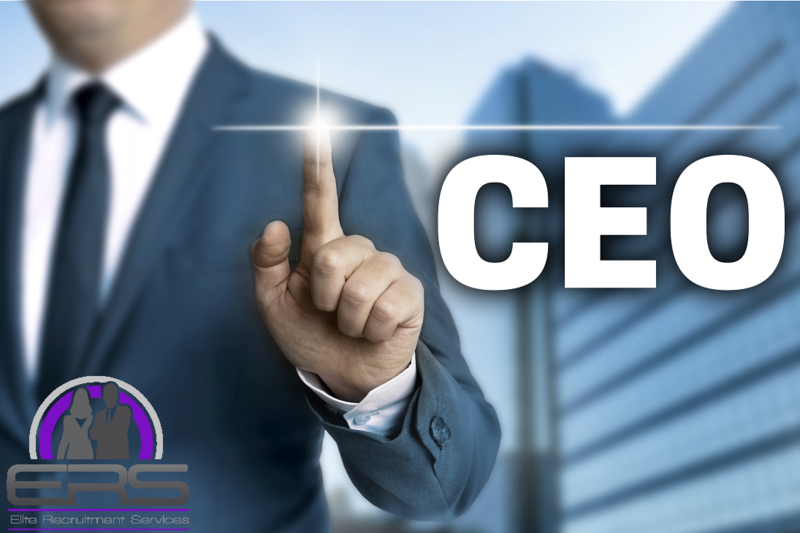 Anyone who has been involved in the hiring of a senior executive may think that they understand the procedure. However, a regular, thoughtful review of your organization’s recruiting processes will accelerate and improve the results. Remember the competition could be looking for the same kind of candidate as you, so make the candidate’s choice easy and help their tenure be both long and prosperous for both the organization and the chosen executive. Excellent opportunity for a proven Sales Professional to join an established and growing Financial Solutions provider specializing in Automated Payments. Offices in Florida, Texas, New York and Canada. Looking for qualified candidates for their Bonita Springs Florida and Dallas locations, and will also consider highly skilled remote workers. Ever imagined working for an organization where you are given complete autonomy, and can be creative in your sales approach, even be your own boss? Well, if the answer is ‘YES’ then this is the company for you. Market your company, have testimonials from current and past employees saying why you are a good company to work for. Use social media, such as LinkedIn, to highlight expansion plans, promotions in the workplace, recent social events. This gives future employees an overview of your company and promotes interest in the workforce. LinkedIn is the first place employees go to to check out prospective employers after looking at their website. 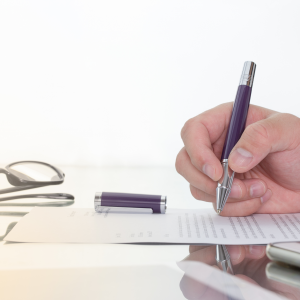 Write a detailed job description, outlining at least 5 key responsibilities along with behavioral characteristics suited to the role and environment will give the employee a good idea what they are signing up for. Always ensure these details are written to comply with laws and are not discriminatory. A detailed job description will enable you to conduct an effective search through social media and job boards and allow you to assess qualified resumes quickly. The more detailed the description the less candidates but the better quantified candidates will apply. Where possible try to ensure the turnaround from advertising to source and interview as quickly as possible. If you see the right candidate don’t hesitate, make the offer! Candidates are normally flattered when offered quickly, especially if they are attending multiple interviews. We have known clients lose the best talent through hesitation, sometimes you just have to follow your gut instinct! If they are qualified and have the skill set required for the vacancy don’t let them go. If you are not quite 100% let them know you are interested and give them a time frame for when you will be in touch. We have also seen situations where candidates receive multiple offers, if this is the case then you need to stand out from the competition and offer them something unique aside from basic salary which could persuade them to accept your offer. To do this you would need to have asked direct questions during the interview, what motivates them, what is important in their work/ life balance and their previous compensation package. You also need to advise them what makes your company unique and what the future will hold for them. When advertising also include the compensation package, so many companies nowadays advertise withy no salary mentioned and state “salary commensurate with experience”, we have proven adding a salary range increases applications by over 35%! Take your time and let the reader know what promotion opportunities are likely and what training is offered along with such things as flexible working hours and vacation allowances. We are aware of some companies who offer free coffee and soft drinks along with fruit/snacks, this may seem a small thing but employees appreciate this. Maintain a database with all qualified candidate resumes. Just because you didn’t not hire someone this time does not mean they were not a good fit for your company, sometimes candidates do not know what their strengths are and a good interviewee will plug way and find these out and sow the seed for another position at a later date. If you are inundated with candidates, as sometimes happens, make it clear that you have had so many people apply that you would like to keep their details on file as you think they would be a good fit moving forward, this will help you have an active list of candidates for future roles. Stay in touch by sending monthly newsletters and occasional emails updating them on the employment situation this will help build your network and can save you a lot of time.